Ever wondered what would happen if The Boogeymonster was a little quicker? As the third day of reveals from Hearthstone‘s next expansion gets underway, another legendary has been shown off. 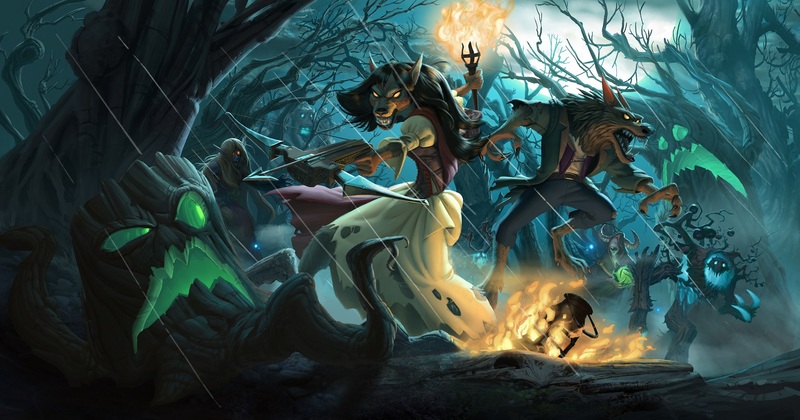 Like other recent expansions, each class will get two legendary cards in The Witchwood. In the absence of Quest, Hero, or legendary weapon cards however, each class gets two legendary minions. 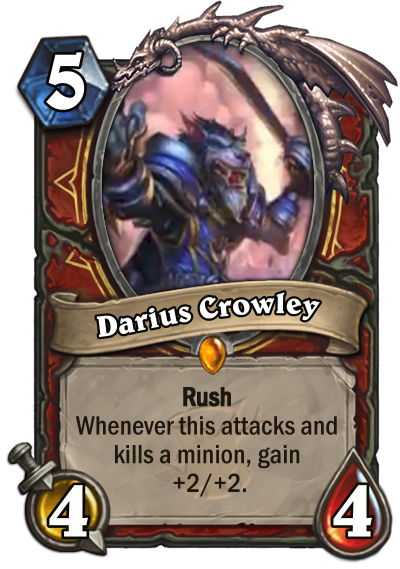 Darius Crowley is a new Warrior legendary. It’s a five mana 4/4 with Rush, that gains +2/+2 whenever it attacks and kills a minion. That’s a familiar effect from The Boogeymonster, but the Rush totally changes things. In the right situation, this has the potential to be powerful. In a bad situation, it’s five mana for four damage to a minion. But if it doesn’t try straight away and can stick around it can really cause trouble for your opponent. Card reveals will continue throughout the next few weeks, ahead of the expansion’s release in mid-April.